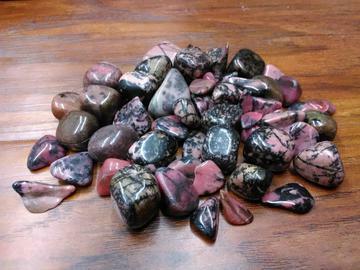 Rhodonite is a manganese inosilicate and member of the pyroxenoid group of minerals. It commonly occurs as cleavable to compact masses with a rose-red color often tending to brown. Rhodonite is for the heart chakra. It is a stone of inner growth. It is also a calming stone, with energies used for easing anger as well as calming stress and anxiety.